This tutorial is just a “how I did it” and “this is how it turned out” kind of tutorial. The one jelly roll makes a nice lap sized quilt, roughly 50″ square. 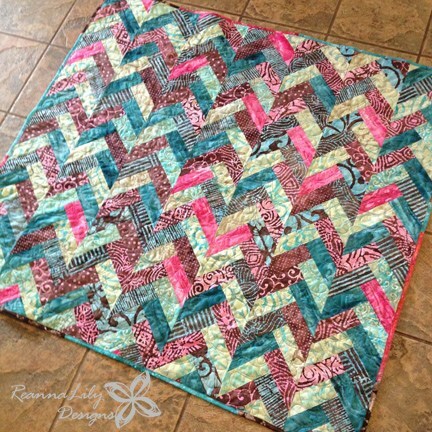 This Batik Braid Quilt Designed by Reanna Lily Designs, The Tutorial is available for free.